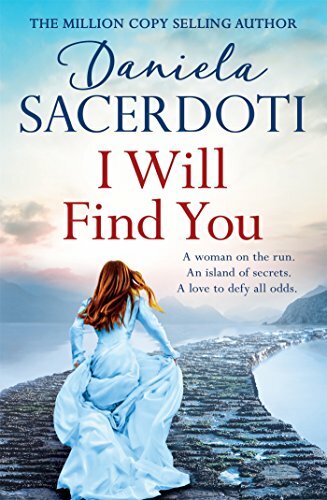 I Will Find You is the second in the Seal Island series but the story stands perfectly well on its own. If you have read the first book, Keep Me Safe, you will spot pleasing references to that story. There is also more than a passing reference to Glen Avich, the setting for many of this author’s other books. There are two stories running in parallel throughout this book and often mirroring each other. In the present Cora, grieving the death of her mother, discovers a key to an box containing an old photograph of her mother, laughing with a friend in front of an unknown house. She is a very intrigued to learn that her mother owned this isolated cottage on the beautiful Seal Island, off the west coast of Scotland. Cora doesn’t know why, but the photo stirs strong emotions in herself and she feels an emotional connection to the island. When she goes there to investigate more, she finds herself drawn to Innes, the bad boy of the island, badly damaged by his childhood experiences. In the historical strand of the story, Margaret is a servant to Lady Dolina and, despite the difference in their social standings, becomes involved with the Laird’s son, Duncan Innes. There’s something magical about islands and the author conveys this beautifully again in this book. There is the idea of escape as in many of her books, a simpler way of living, away from the rat race of a busy city. There is also the draw, the pull of and connection to the past. 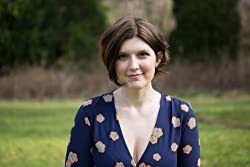 Through the stories, the author suggest we are all more strongly linked to our ancestors than we realise, that the past can shape us in the present. Her characters are drawn to places, to people, to their soulmates who keep meeting and parting. There is a call throughout the years. This author never disappoints, never fails to provide a book to get completely lost in and usually to emerge from with a satisfied and glad heart. However, this time, I couldn’t help but have a bit of melancholy feeling too, as the history of the lovers, the soulmates, kept repeating itself down through the years. You’ll understand what I mean when you read it but I can’t say too much more without giving things away. Despite this, it’s a book I recommend for its beautiful island imagery, its love stories and its haunting and atmospheric writing. Two different women, divided by time, bound by fate….